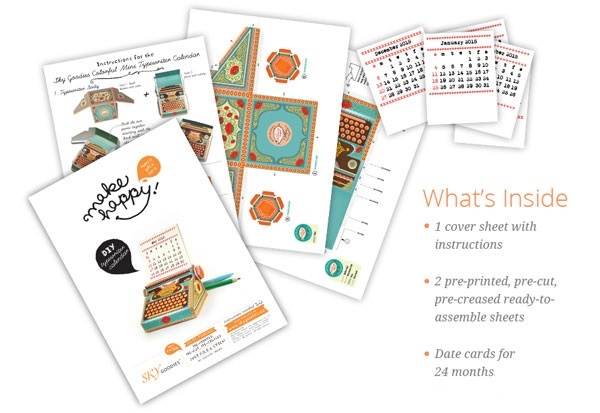 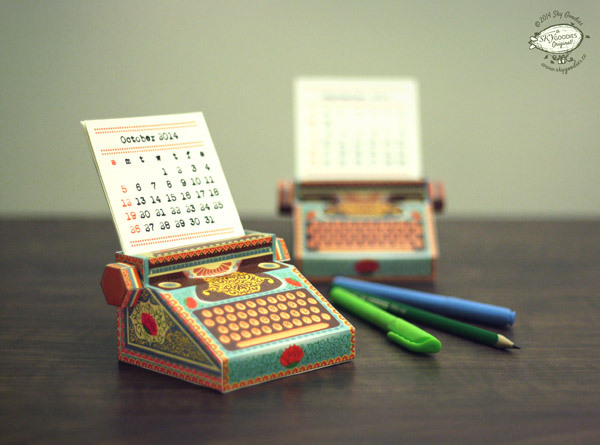 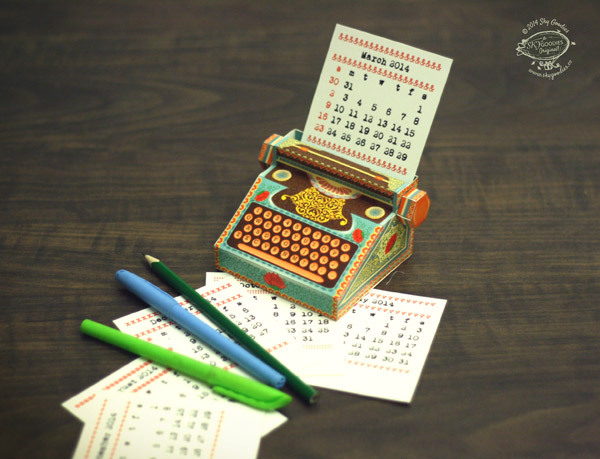 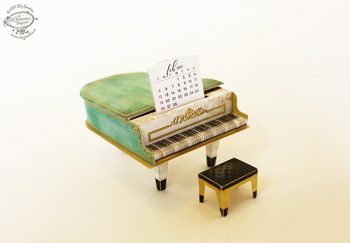 Here’s a quaint little 3D Paper Desk Calendar for your mantelpiece, table-top or shelf… in the form of a typewriter, with 24-month cards with dates. 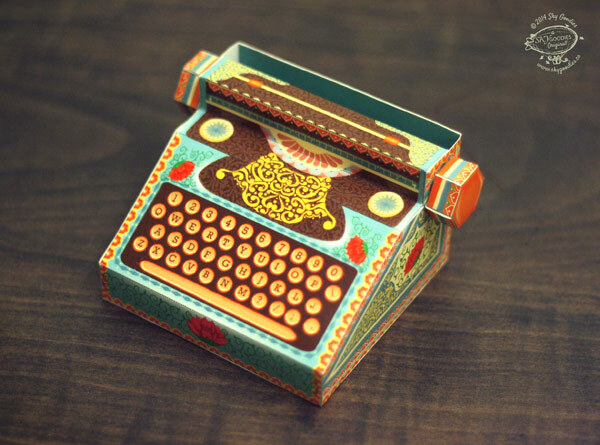 The body of the typewriter has been lovingly illustrated with intricate patterns and details. 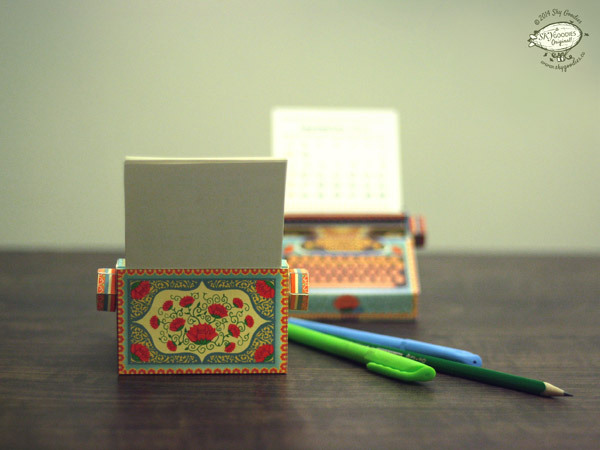 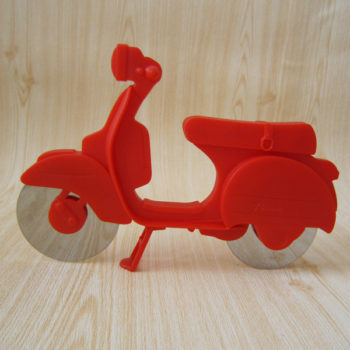 Finished size of the typewriter body: about 10 cm width, 9 cm depth and 6 cm height. 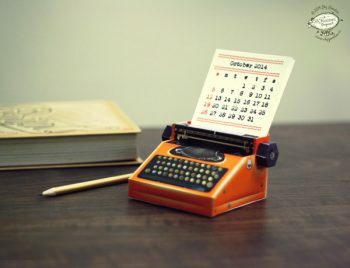 Add 10 cm for a visible height of the date cards.